How much does it cost for Karate Kids/Tigers/Adults? Special Deal includes joining fee, uniform, and three months fees. Badge not included. Any time you wish, but please be aware that if you start just before a grading then you might not be able to grade at that time and will have to wait until the following grading. Is prior martial arts or sports training needed? No, although we do like to know what other martial arts or sports you have done because we might be able to explain any similarities to help your understanding your Tang Soo Tao movement and philosophy. I did another martial art before, will my rank or belt be recognised in Tang Soo Tao? This is done on a case by case basis. We will allow you to train with your old belt and uniform for up to 6 weeks. During this time we will assess and determine what suitable rank would be the equivalent in Tang Soo Tao, and then you will have to participate in a grading to achieve this rank. If your previous martial art was significantly different to ours, then you may have to begin at white belt. What is the youngest child that can start? Six years old, or close to this age, e.g. 5 years and 9 months. My child has a problem with discipline, can you help? Yes, we are strict with discipline. Rules and protocol are taught from day one. Within a few weeks this culture will become second nature to even new students, so things like bowing, raising a hand to ask questions, turning around to adjust a uniform when permitted, and so on, will become normal behaviour. My child can’t concentrate for very long, will this be a problem? Our classes are fun and engaging. Karate Kids, Tigers, and Adults will learn basics about meditation, awareness training, and how to look, listen, learn, and perform. In Tang Soo Tao we learn to develop muscle memory, so regular exercises through repetition help with concentration and learning. Is Tang Soo Tao a contact martial art? Yes, but with control. For Karate Kids contact is very limited. Any and all contact is supervised by an instructor. When students become more senior, the contact increases, but so does the control. Can I come once a week, because I am doing something else on other days during the week? Yes, but your process will be slow. You will miss many of the benefits of regular training, such as improving flexibility and knowing all your techniques and motions. You might also miss gradings because of insufficient attendance. However, we understand that life can be busy so some training is better than no training. You should talk to an instructor if you cannot attend class regularly. I have never heard of Tang Soo Tao before, what type of martial art is it? 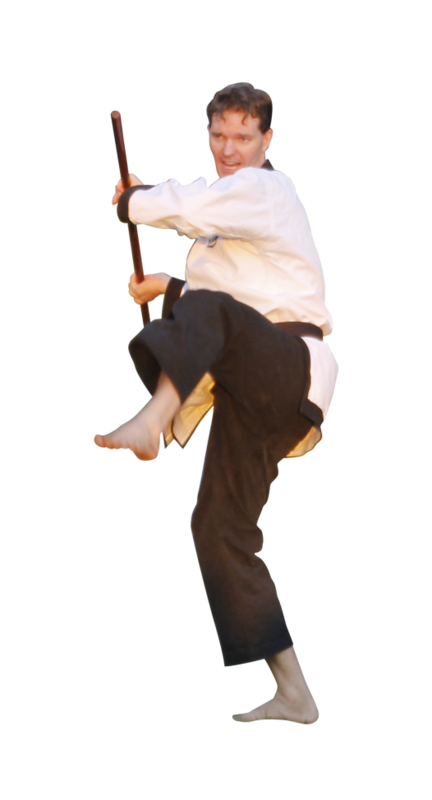 Tang Soo Tao is a hard style Karate from a Korean lineage. It should only ever be used in self-defence. We utilise our hands and feet equally with blocks, strikes, and kicks. Power is generated from the waist. We use long and low stances for balance and grounding, as well as breath for rhythm and extension time to allow for transfer of energy. Each level has more advanced technique combinations, free fighting drills, forms (Hyung in Korean), partner work, and many other drills and exercises. We develop spiritualism, meditation, and awareness. Our organisation is hierarchical with a Chief Instructor (Sa Bom Nim) and each school has a head instructor (Sa Bom, Master, or Kyo Sa Nim). We employ Korean terminology and honorifics to reflect the origins of the art and for respect. Tang Soo Tao is expressed as martial culture in our daily practices with a goal to promote universal concepts and values of self-control, harmony, and peace.